Congratulations to the Girls and Boys golf team for their finish at the Region 7-AAAAAA tournament. The Girls Team finished 2nd, highlighted by top 10 individual performances by Louise Yu (tied 3rd) and Esther Park (tied 6th). The Boys Team finished 5th, highlighted by top 10 individual performances by Justin Kim (tied 7th) and Austin Mancilla (tied 10th). The Boys Varsity Golf Team lost a close match to Wednesday afternoon to Northview at St Ives Country Club, 177-175. The Lions were led by Senior Austin Mancilla shooting a 1 over par 37 and Justin Kim shooting a 3 over par 39. Also competing were Craig Pennington, Dae Rouse, Jeremy Edwards, and TJ Starks. 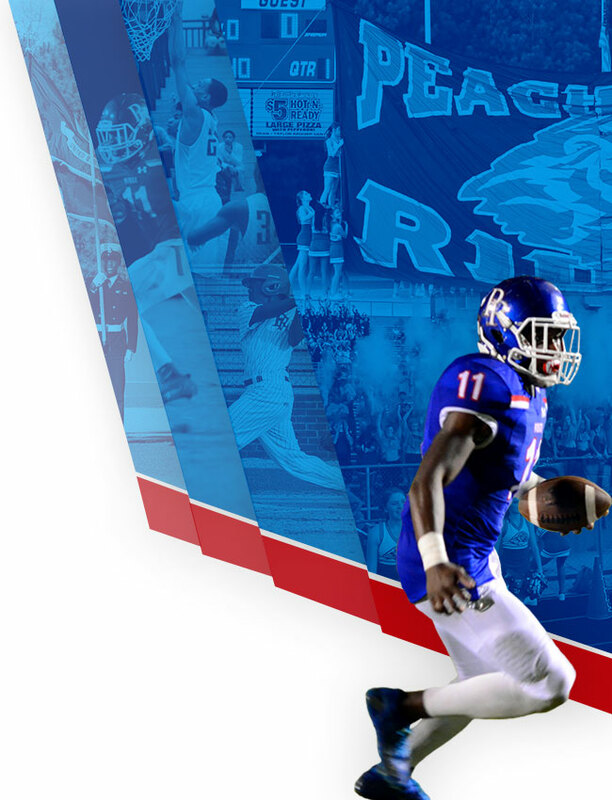 Peachtree Ridge student athletes Louse Yu and Austin Mancilla have been recognized by the Gwinnett Daily Post as part of their golf Super Six. GDP article Congratulations to each for this recognition. The 2016 match schedules for the boys and girls golf teams have been announced. 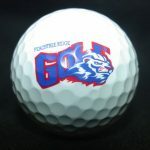 Here are the links to each schedule: Boys Varsity Schedule Boys JV Schedule Girls Varsity Schedule Girls JV Schedule The season starts off on Monday 2/22 with a match against North Gwinnett at Bear’s Best Atlanta golf course. 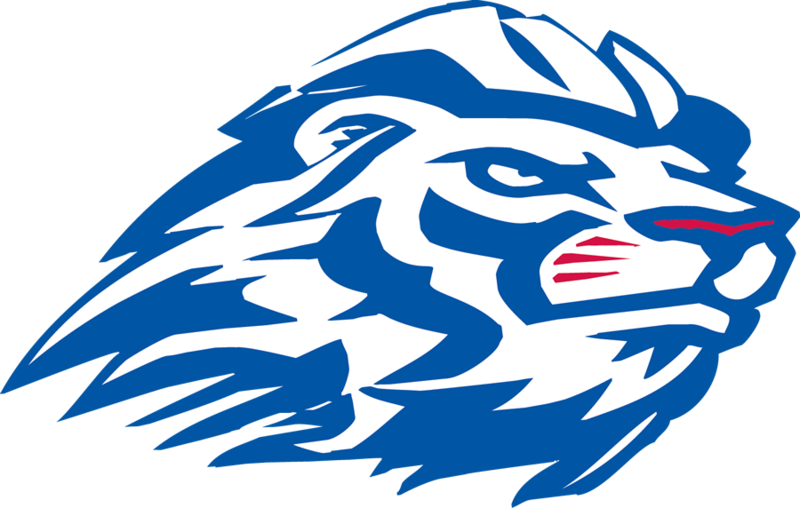 The PRHS Boys and Girls golf team tryout will be held on Tuesday February 16th and Wednesday February 17th at Sugarloaf Country Club at 2:45 PM each day. 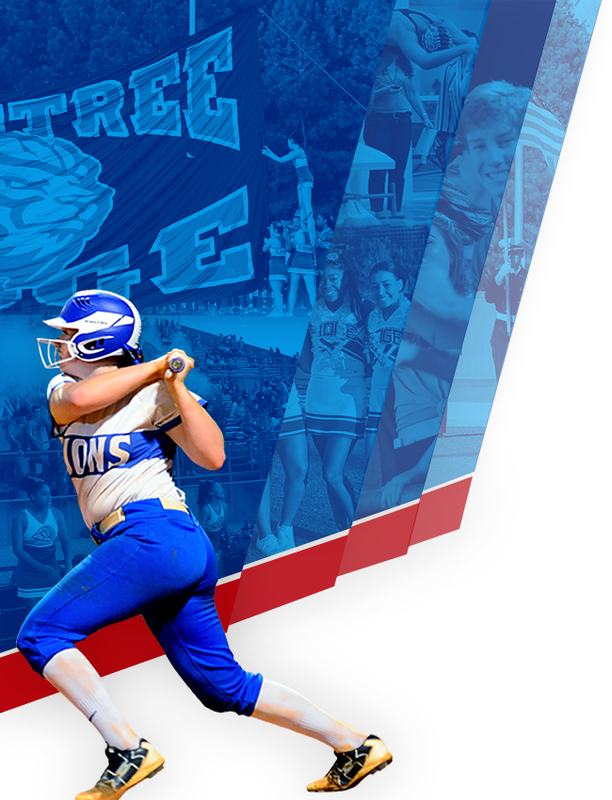 All student athletes interested in trying out must have their medical information complete in PRIVIT, If there are any questions, please contact Coach Laird or Coach Cameron. 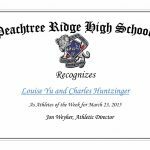 Congratulations to PRHS student athletes of the week of 03/23/2015, Louise Yu and Charles Huntzinger for their outstanding athletic performances while maintaining expectations in the classroom Louise Yu – sophomore member of girls golf team who has started every match this season. Charles Huntzinger – senior leader of boys golf team who will be attending Penn State in the fall.